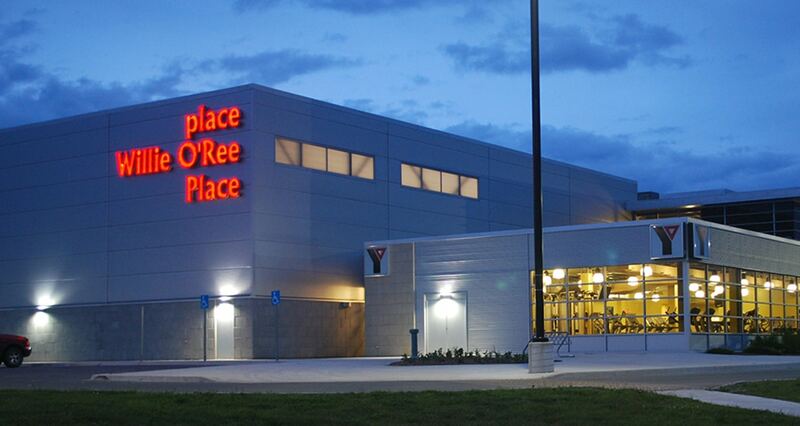 The U SPORTS-Curling Canada University Championships (March 15-19), Canadian Collegiate Athletic Association (CCAA)-Curling Canada Championships (March 15-19) and Canadian Mixed Doubles Curling Championship (March 19-24) will be hosted on the two ice surfaces at Willie O’Ree Place. It will be the 12th edition of the U SPORTS-Curling Canada Championships and first time they’ve been staged in New Brunswick. The host school, University of New Brunswick, is represented in both men’s and women’s competitions. Jack Smeltzer, skip of the UNB Reds team, returns to the competition after winning bronze in 2018 and coming off an appearance at the 2019 New Holland Canadian Juniors earlier this year in Prince Albert, Sask. But defending 2018 champion Karsten Sturmay from the University of Alberta Golden Bears (Edmonton) returns to the field and has his sights set on becoming the first male skip to win back-to-back university championships. The 22-year-old skip is fresh off a silver-medal performance at the 2019 Universiade in Krasnoyarsk, Russia, where he led Canada to the final. Notable names rounding out the men’s lineup are skips Sam Steep (Brock Badgers, St. Catharines, Ont.) and Greg Blyde (Memorial University, St. John’s N.L.) – both competed at the 2019 New Holland Canadian Juniors – and Dalhousie Tigers skip Matthew Manuel, who represented Nova Scotia four times at the national junior level, backed by vice-skip Owen Purcell and second Jeffrey Meagher who represented the province earlier this year. On the women’s side, University of Alberta Pandas skip Selena Sturmay (Karsten’s sister) gets the chance to continue her dream season. The 20-year-old skip from Edmonton won the 2019 national junior championship, clinched a silver medal at the world juniors and most recently made the quarter-finals as Canada’s second at the 2019 Universiade. Sturmay, who won last year’s event as second for skip Kristen Streifel, and lead Paige Papley (as alternate in 2018), can become back-to-back university champions with a victory in Fredericton. But the competition will be stiff. 2018 world and Canadian junior gold-medallist Kaitlyn Jones leads the Dalhousie Tigers into battle as she seeks her first university championship title. 2016 world and Canadian junior champion Mary Fay is also in the mix with her team from Queen’s University in Kingston, Ont. Kira Brunton (Laurentian Voyaguers, Sudbury, Ont. ), Sara England (Regina Cougars) and Justine Comeau (University of New Brunswick Reds, host school) are all in the field and coming off experience at the 2019 national junior championship too. Since 2008, the University of Alberta Golden Bears have won three men’s university championships with the Memorial University Sea-Hawks and Wilfrid Laurier Golden Hawks (Waterloo, Ont. ), each winning two. In the women’s Wilfrid Laurier has won four women’s crowns, while the University of Alberta Pandas are three-time winners. This will be the second time the CCAA Championships, for colleges and institutes, will be staged with the support of Curling Canada. Last year the Douglas Royals (New Westminster, B.C.) and Fanshawe Falcons (London, Ont.) won the men’s and women’s gold medals, respectively. On the women’s side, defending champion Kaitlyn Poirier returns to the Fanshawe Falcons lineup as skip and is on the hunt for back-to-back championships. Also in the running is 2019 New Holland Canadian Juniors silver-medallists Kayla MacMillan and Sarah Loken, who played third and lead for British Columbia, respectively. MacMillan skips the Douglas College team and Loken plays second. On the men’s side, five-time Canadian juniors participant Trygg Jensen leads the NAIT Ooks (Edmonton). Jensen, who played for Yukon at the national juniors, has a strong support system in place. Recent Curling Canada Hall of Fame inductee Jules Owchar coaches the team. Owchar has guided school teams to 35 conference championships and two more at the national level. Since 2012, Fanshawe College has won a leading four women’s and two men’s titles. Both the U SPORTS-CC and CCAA Championships feature eight men’s and eight women’s teams in a round robin leading to the playoffs. 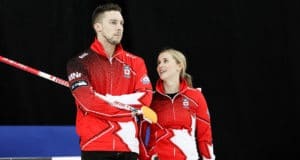 The 2019 Canadian Mixed Doubles Championship begins on Tuesday after the completion of the university and college events. While it’s the first time the national championship has been held in Fredericton, the city hosted the World Mixed Doubles Curling Championship in 2013. Thirty-two teams will compete for the chance to represent Canada at the world championship in Stavanger, Norway, from April 20-27. Defending champion Laura Walker/Kirk Muyres are in the field, as are 2016 champions Jocelyn Peterman/Brett Gallant while half of the 2017 Canadian mixed championship winning team will also be in Fredericton; Reid Carruthers is joined by new partner Kate Cameron. 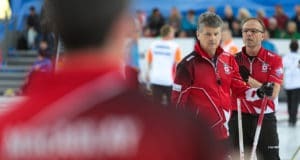 Other notable names include Jennifer Jones/Brent Laing, Jolene Campbell/John Morris, Kristen Streifel/Steve Laycock, Dezaray Hawes/Tyler Tardi, Shannon Birchard/Catlin Schneider, Bobbi Sauder/Brendan Bottcher, 2018 runners-up and Curling World Cup third leg champions Kadriana Sahaidak/Colton Lott, Nancy Martin/Tyrel Griffith, Sherry Just/Dustin Kalthoff and 2014 champion Kim Tuck/Wayne Tuck. CBC will livestream various games from all championships during the preliminary rounds as well as several finals. You can watch at cbcsports.ca or via the CBC Sports app for iOS and Android. Draw results and event information for all three championships are available at www.curling.ca.